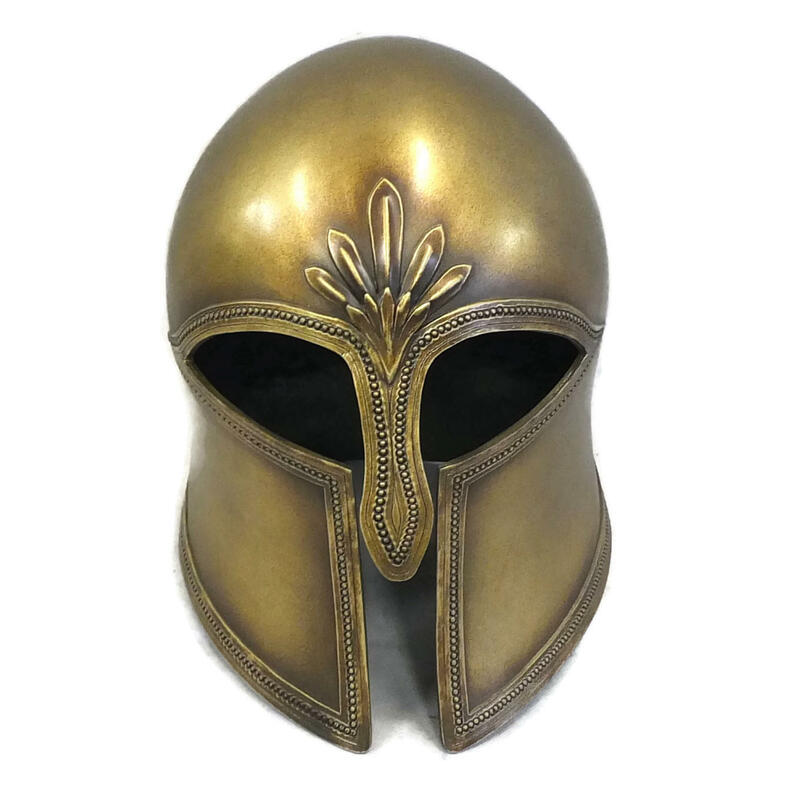 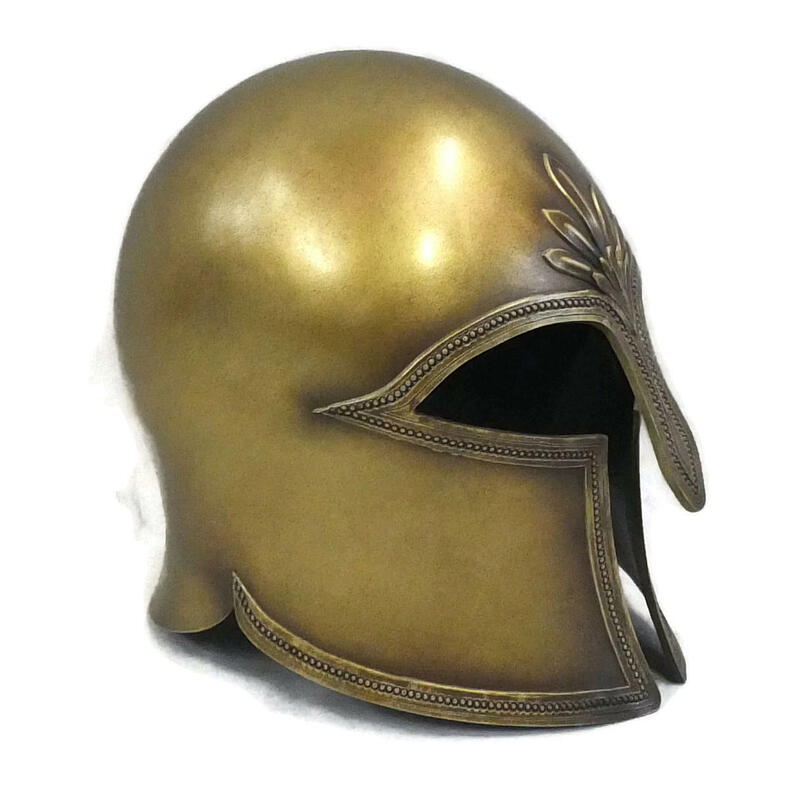 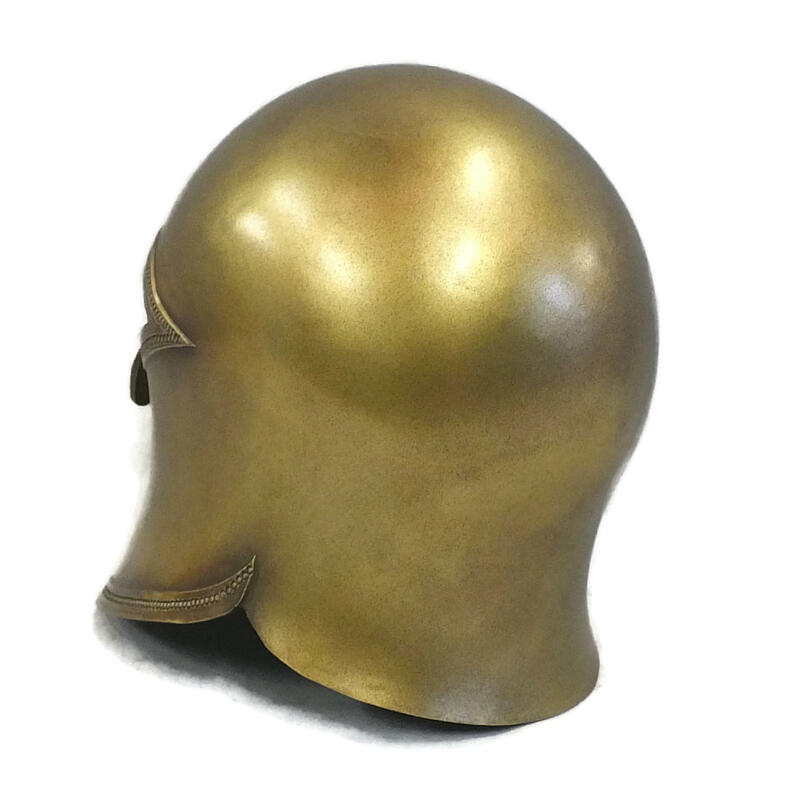 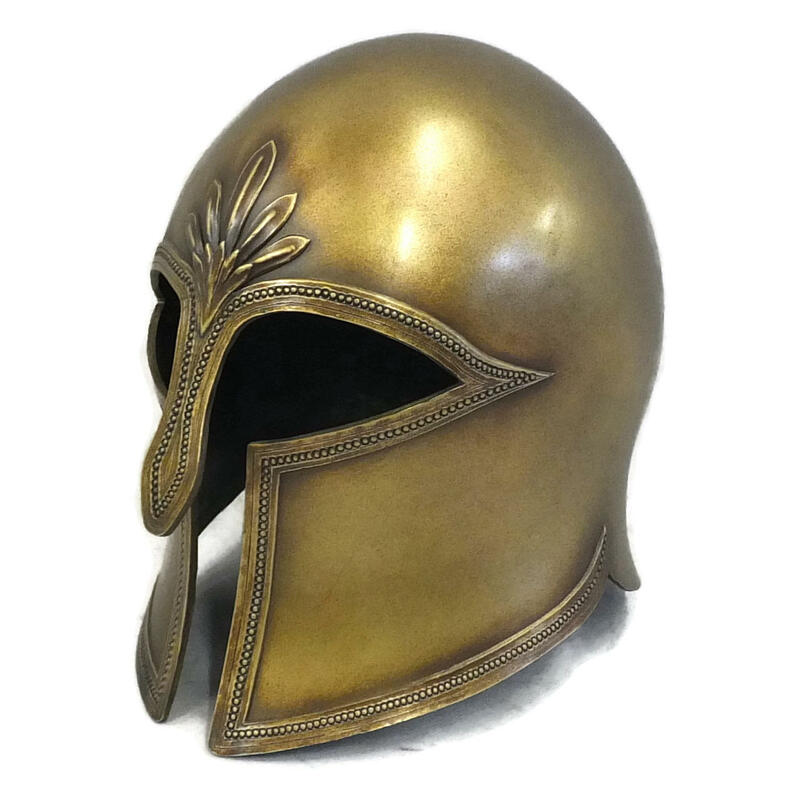 Greek Corinthian style larp helmet with a decorative edge design. 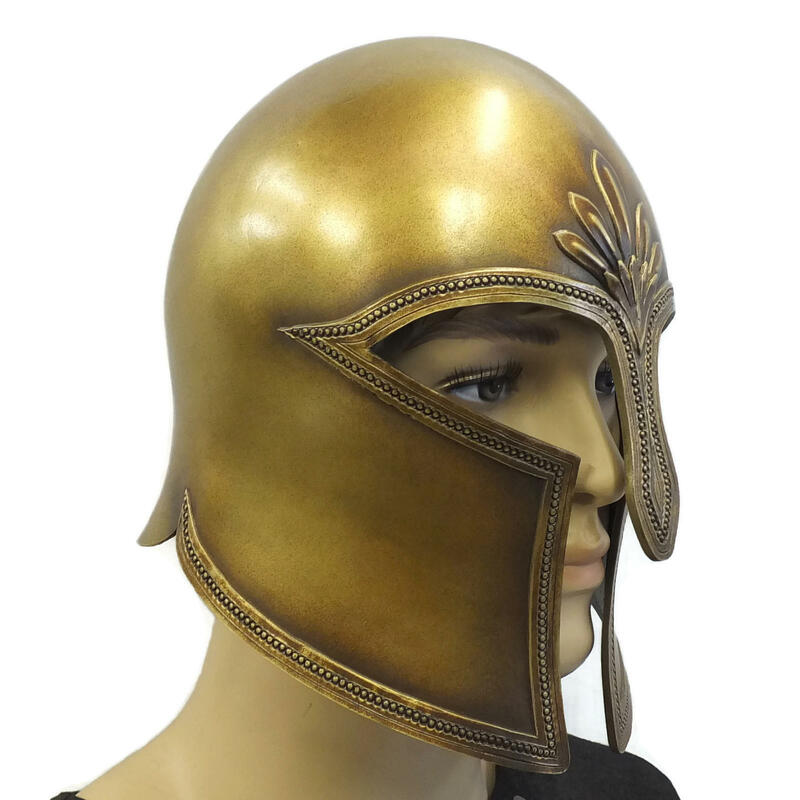 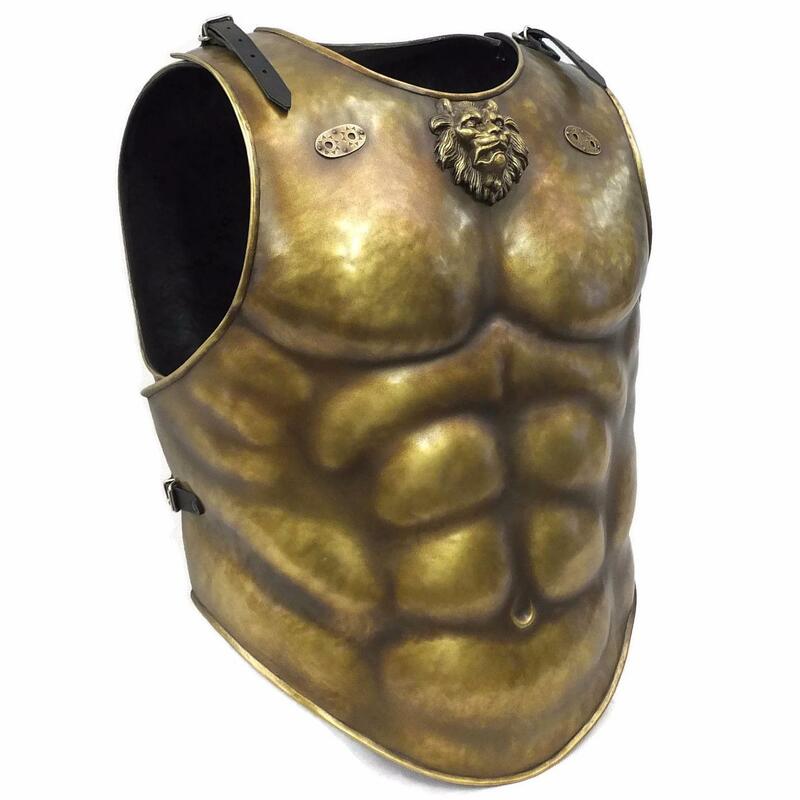 This has great visibility and is light and comfortable to wear. 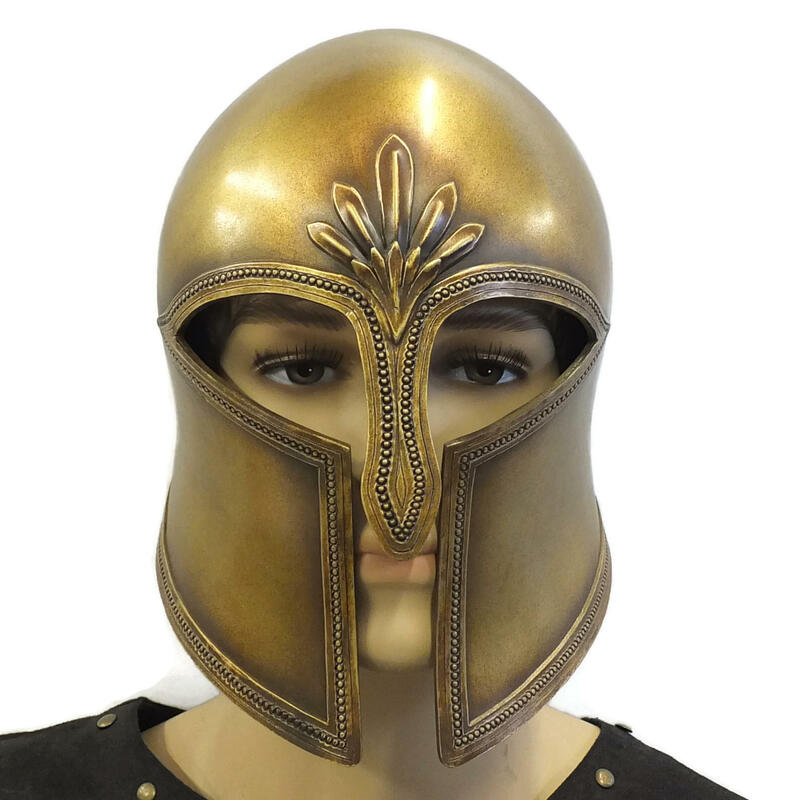 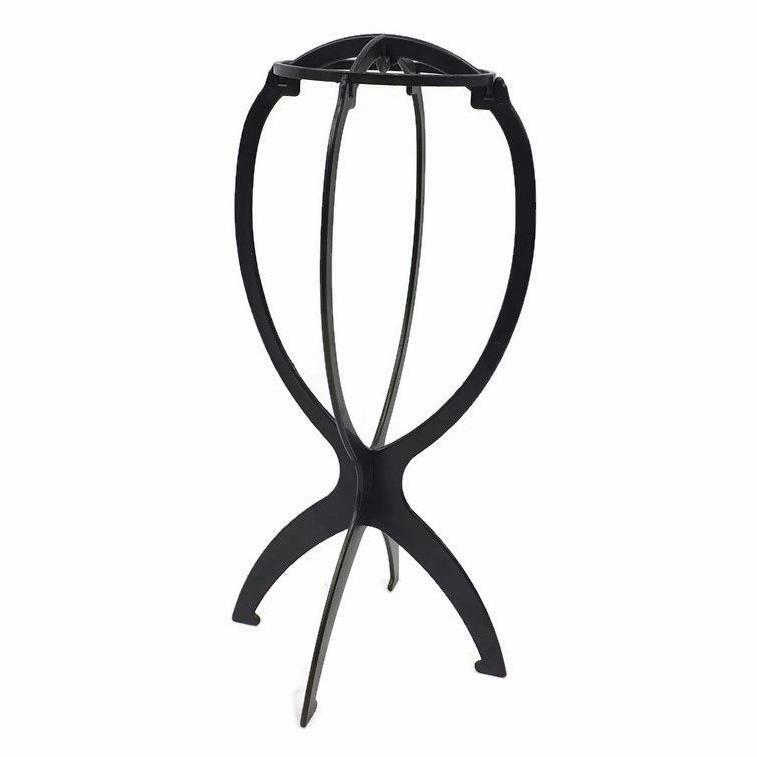 Will fit head size up to 24¾" (63 cm).